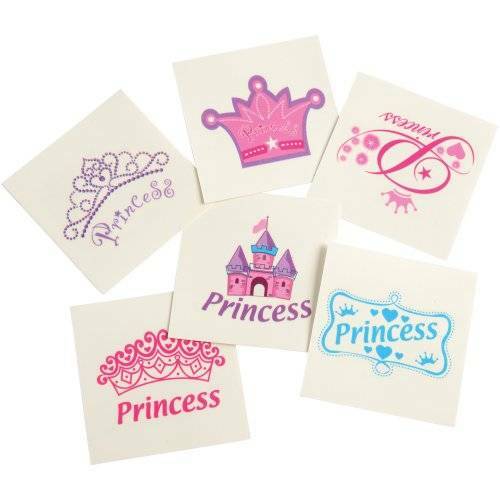 Apply this princess temporary tattoo with water and wash off. 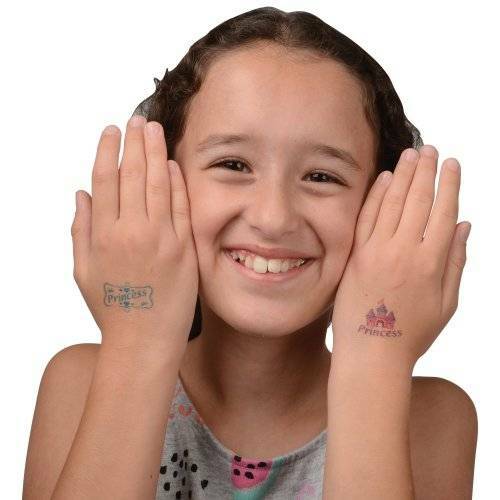 Tattoos are a great addition to kids party favor bags. 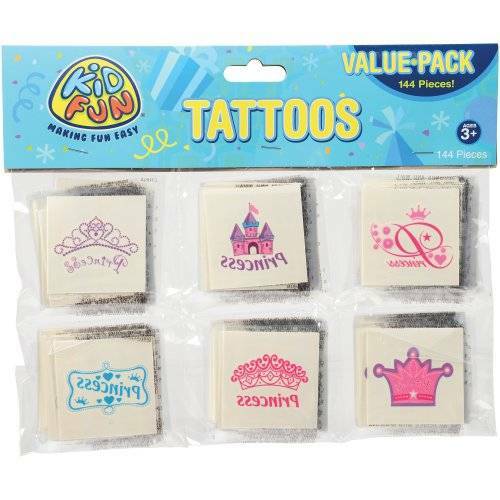 Stock up on all your Princess party needs at US Toy. We have the sparkle, bling, glitter, and of course the pink you need to make little princesses happy. With a wide selection of costume accessories and favors we have exactly what a princess needs.